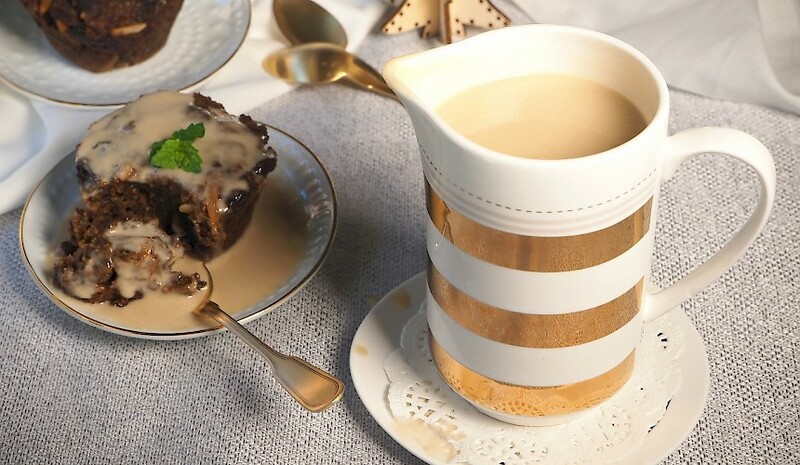 A delicious no-fuss, dairy-free Caramel Sauce to pour over puddings and desserts. It’s an excellent alternative to custard if you need to avoid eggs. The sauce thickens once chilled and is really yummy poured over dairy-free ice cream or warm with my Paleo Plum Pudding. Add all the above sauce ingredients to a medium saucepan and stir to combine. Heat on medium, stirring frequently until the sauce starts to slowly simmer, then reduce heat to low. Gently simmer, stirring often for 25 minutes or until the caramel sauce reduces a little and has slightly thickened (it should coat the back of a spoon). The colour will turn a shade darker (watch it doesn’t burn). Remove from the heat and allow to cool slightly before serving warm over your pudding or dessert, (stir a couple of times while the sauce sits to prevent a skin forming on top). The sauce can be made ahead of time and stored in the fridge and warmed before serving. Pair with Sue Joy’s Paleo sugar-free Christmas Cake for a perfect festive treat.